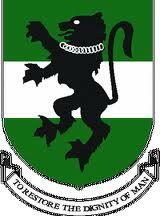 This is to inform all the fresh and returning students of the University of Nigeria, Nsukka (UNN) that the management of the institution has released the registration procedures for both fresh and returning students for the 2013/2014 academic session. 7. Proceed to Faculty to meet the Faculty Officer for further information on registration of courses; however, students are also advised to adhere to the provisions of the Faculty Handbook. Proceed to Faculty to meet the Faculty Officer for further information on registration of courses; however, students are also advised to adhere to the provisions of the Faculty Handbook.